Sporty is the easiest way to find activities and people nearby. Participating in activities and finding new people will only take a few seconds. Discover new activities with people nearby. Explore people around you and challenge them to a game. Build real connections and memories offline. Being active shouldn't be something you have to do, it should be something you want to do. From tennis to running, climbing to boxing, or heck, just participating in any social activities, we believe this is the best way to stay social and healthy in an increasingly more remote and digital world. 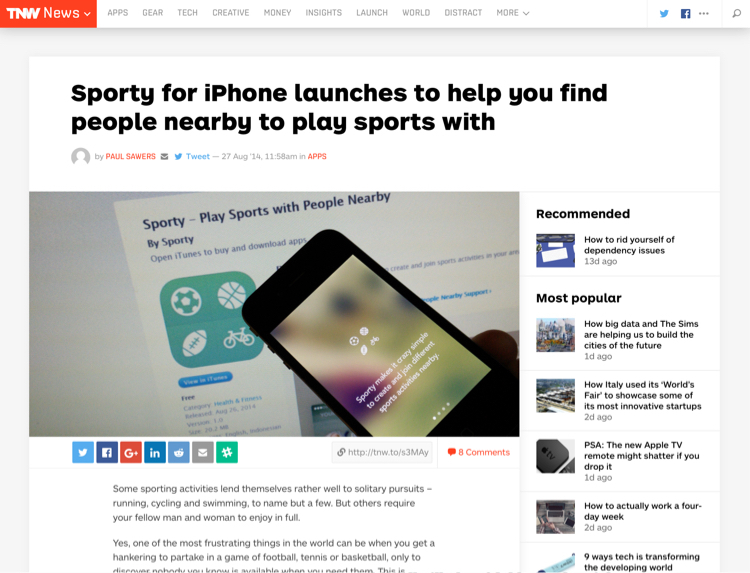 Sporty wants to make it incredibly simple to discover activities happening nearby, as well as the people that want to participate in them. 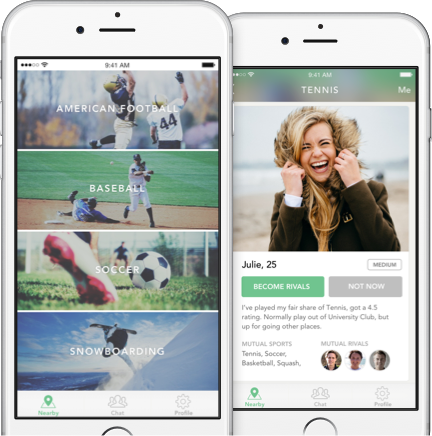 Whether you want to find awesome events nearby or just a new tennis partner in your area, Sporty can help. 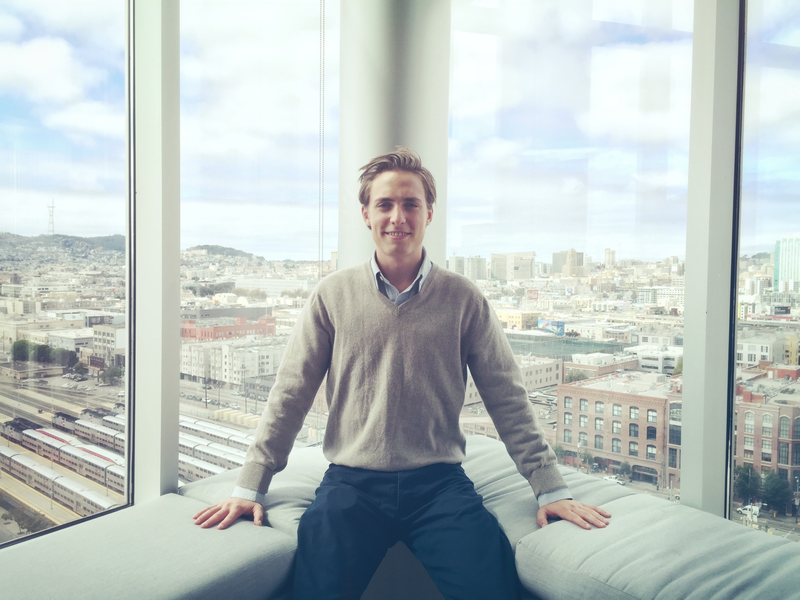 The company is run by Christian Ringnes Jr. and Mathias Mikkelsen. NRK Dagsrevyen is Norway's largest tv news show with one fifth of the population watching every show. 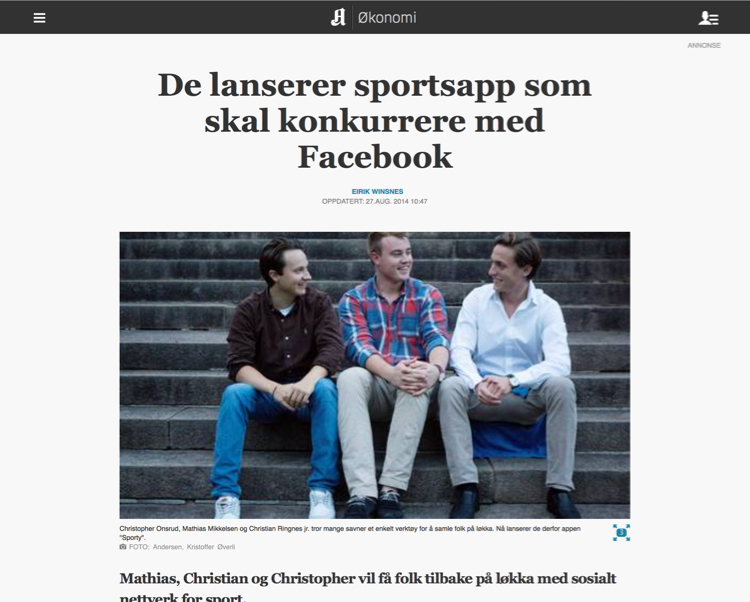 Finansavisen is one of Norway's largest financial newspaper, and we had a great frontpage spot and a mid section two-side article. Aftenposten is Norway's largest newspaper. 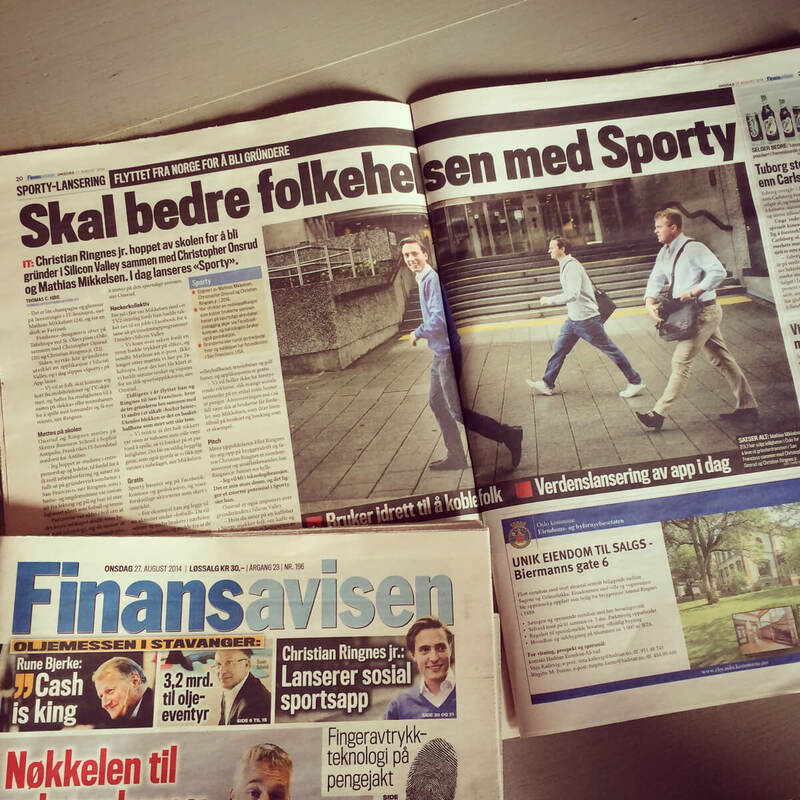 Sporty was featured on frontpage of the online version and was the most-read story for almost a full day. Read the full article. The Next Web is among the worlds 5 top tech blogs. Read the full article. Yahoo News is one of the biggest news sites in the world. Read the full article. We're a small team on a big mission; we want to make the the whole world more Sporty through activities. From tennis to running, climbing to boxing, or heck, just participating in social activities in general, we believe this is the best way to stay social and healthy in an increasingly more remote and digital world. Interested in joining us? Email us on hello@sportyapp.com and write a few sentences about yourself. Remember to attach links to work you've done earlier. Let people on Sporty find your venues and courts. Sporty is great for finding events and venues with our iPhone, Android and Web apps. We'd love to showcase all the great events and venues out there for our Sporty users. We're currently working on an extensive database of events and venues worldwide. We'd love to showcase yours as well. Please contact us at hello@sportyapp.com and we'd love to talk closer. By downloading, accessing or using the mobile applications, websites or other products or services of Sporty App AS ("Sporty", "we", "our", "us", "Services", "Service", "Application", "Applications", "App", "Company", "Platform"), you agree to be bound by the Terms of Service ("Terms"). If you do not agree to these Terms, do not opt-in to or continue to use our Services. All business related partners of Sporty using our admin side are referred to as either (and shall all constitute the same regardless of which word is applied): "facilities", "facility", "facility-user", "places", "place", "club", "clubs", "venue", "admin". 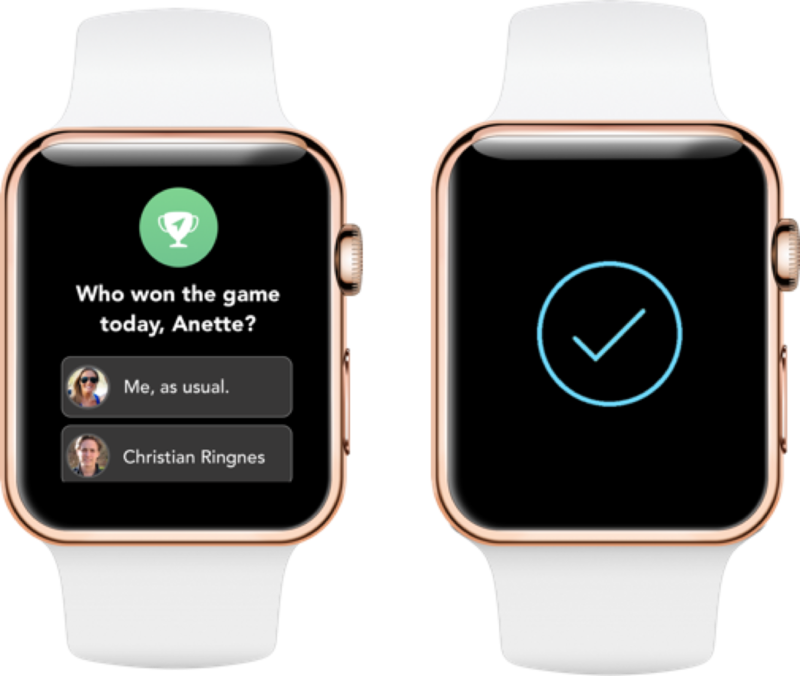 All Sporty end-users (using the user-side of the application) is referred to as either (and shall all constitute the same regardless of which word is applied): "users", "user", "end-user", "end-user", "end-customers", "customer", "customers"
Sporty wants to make it easier for people to play sports. The Application is a service which allows you to organise sports events with friends and people nearby. 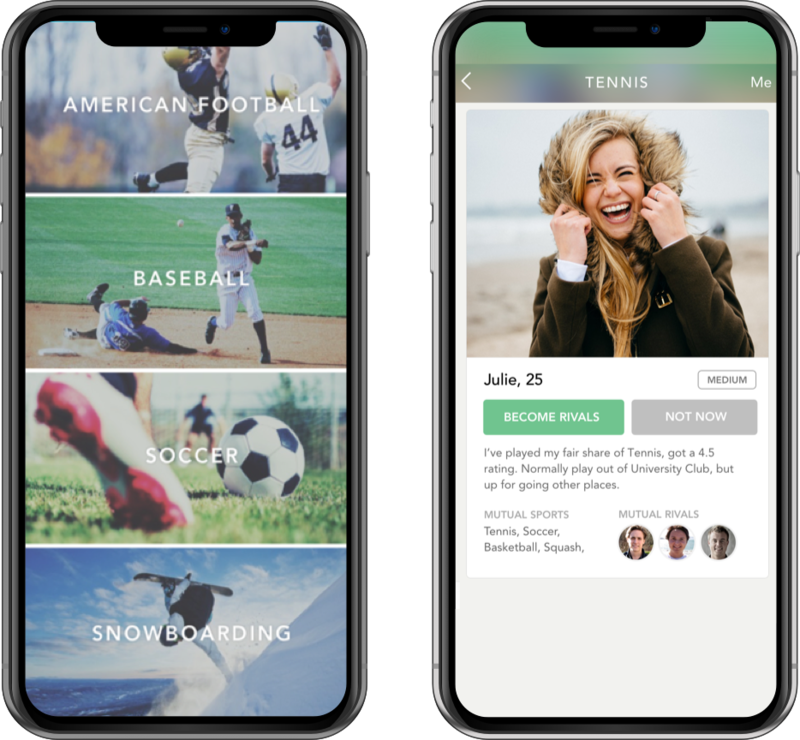 The application allows you to connect with people over sports activities, find places, book courts, buy plans, merchandise and tickets, buy and send credits and other sport and social related features. Please show respect and use common sense while interacting with the application and the people within. Sporty does not hold any responsibility over the results of the use of the application. All responsibility is of the user. You must be at least 13 years old to use Sporty. Use is void where prohibited. By using Sporty, you affirm that you are either 13 or more than 13 years of age. You are an emancipated minor, or possess legal parental or guardian consent, and are fully able and competent to enter into the terms, conditions, obligations, affirmations, representations, and warranties set forth in these Terms, and to abide by and comply with these Terms. In addition, you affirm that you have not been previously suspended or removed from the Services and do not have more than one Sporty account. The Services consist of interactive features and areas that allow users to create, post, transmit and/or store content ("User Content"). You understand that your User Content may be viewable by other users in the Application. You agree that you are solely responsible for your User Content and that Sporty is not responsible or liable for any User Content. While we are not obligated to do so, we reserve the right, and have absolute discretion, to review, screen and delete User Content at any time for any reason. You retain all ownership rights in your User Content. However, by submitting User Content to Sporty, you hereby grant us a nonexclusive, worldwide, royalty-free, sublicensable and transferable license to use, reproduce, modify, adapt, publish, create derivative works from, distribute, perform and display such User Content in connection with the Services. You will not express or imply that any statements you make are endorsed by Sporty. 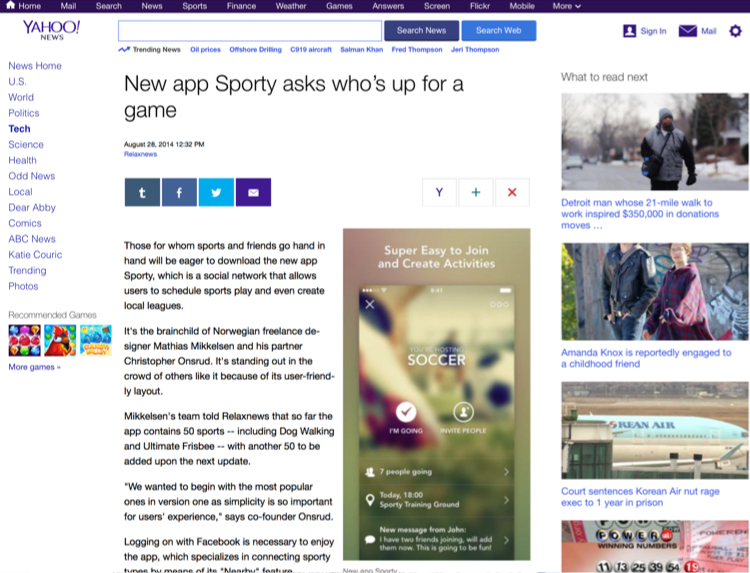 Sporty App AS has the right, but not the obligation, to monitor all conduct on and content submitted to Sporty. We emphasize that you as end-user or facility-user of the system are responsible for others personal data in Sporty when registered/uploaded/stored by you. As a facility-user and/or end-user you are responsible for safeguarding others personal data and to register/upload correct information with their consent. 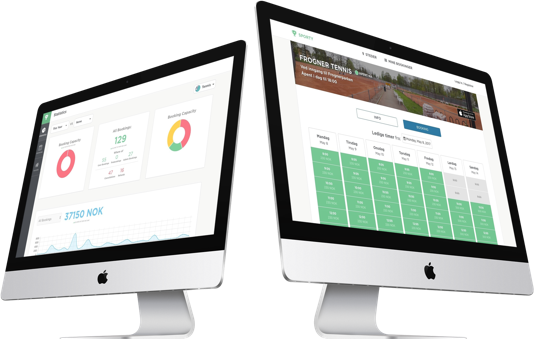 No other information about the users than necessary to manage your customer relationship through Sporty should be recorded. You agree that any feedback, suggestions, ideas or other information or materials regarding Sporty or the Services that you provide, whether by email or otherwise ("Feedback"), are non-confidential and shall become the sole property of Sporty. We will be entitled to the unrestricted use and dissemination of such Feedback for any purpose, commercial or otherwise, without acknowledgment or compensation to you. You waive any rights you may have to the Feedback (including any copyrights or moral rights). We like hearing from users, but please do not share your ideas with us if you expect to be paid or want to continue to own or claim rights in them. Unless otherwise stated, all materials contained on or within the Services, including, but not limited to, text, graphics, images, code, illustrations, designs, icons, photographs, video clips, and written and other materials (collectively, "Sporty Content"), as well as their selection and arrangement, are protected by copyright, trademark, trade dress, patent, and/or other intellectual property laws, and unauthorized use of Sporty Content may violate such laws and these Terms. Except as expressly provided in these Terms, Sporty does not grant any express or implied rights to use Sporty Content. You agree that you will not copy, reproduce, republish, frame, download, transmit, modify, display, reverse engineer, sell, or participate in any sale of, rent, lease, loan, assign, distribute, license, sublicense, or exploit in any way, in whole or in part, Sporty Content, the Services or any related software, except as expressly stated in these Terms. Any use of the Services or Sporty Content other than for their intended purposes. Any use of the Services or Sporty Content other than as specifically authorized in these Terms, without the prior written permission of Sporty, is strictly prohibited and will terminate the license to use Sporty granted in these Terms. We are concerned about safeguarding the confidentiality of your information. We provide physical, electronic, and procedural safeguards to protect information we process and maintain. For example, we limit access to this information to authorized employees and contractors who need to know that information in order to operate, develop or improve the application. We do not stand responsible for or any third parties (a): loss of data, crashes, downtime, mistakes, delays and/or security breaches)). Please be aware that, although we endeavor to provide reasonable security for information we process and maintain, no security system can prevent all potential security breaches. We do not stand responsible for any unauthorised use (or hackers) on your device, loss of sign in credentials or mistakes you make within the service. Users are responsible to type in their correct information and especially email-address on signup. Sporty cannot retrieve this data for you because of security reasons and you will have to create a new account if you type a wrong email address at signup. After each purchase your credit card will be saved to simplify the process for future purchases. If you do not wish to have your card saved in Sporty, you can delete it in billing settings after your purchase. If you’re active in a membership or any other services that requires payment over a certain period of time you will need to have at least have one valid credit card saved. We do not stand accountable for any delays in payment(or refunds) or any third parties (a): crashes, loss of data, downtime, mistakes, delays and/or security breaches)). We will however do our very best in co-operating with these services to correct (a) as quickly as possible. We hold the right to change our price and price-methods for our users and facilities at any time. We reserve the right to retract, refund, charge or cancel any purchase in the Sporty platform at any time. Refunds cannot be issued after 14 days from the platform. End-customers will always be refunded in full and facilities must cover the charge and refund fees, including disputed charges. By using Sporty you accept as a facility and/or end-user you agree that invoices and receipts are only sent to you electronically by email or phone to the email or phone number that you have on your account. You, the facility or end-user, agree that Company can, if any unpaid invoices, plans, recurring plans or charges in the system are not paid for, to invoice (with late charge fees and email fees) by email or post service and initiate debt collection of these. We also hold the right to charge existing card on profile and/or directly from the payment processor service. Any functions and features in the Sporty platform may be removed or no longer supported at any time on our own terms. Facilities and users cannot resell any products, tickets and/or other purchases / content that we provide. It is illegal and a breach of our terms to sell second hand or/and on the black market or/and on any other plattform. Facilities using our services must fully and exclusively use Sporty for all it’s solutions and its payment on platform service with each feature we deliver for five years, by continued use this auto renews for the same period. We hold the right to invoice and/or deduct directly from stripe (or other payment processor) any charges that have occurred outside of our payment services and features (including, but not limited to bookings, rentals, credits, membership, courses, plans, invoices, tickets, teams, invoices, merchandise, statistics, automation, signage, camera, lights) and to immediately suspend rights of any continued use on our platform. Rules and terms may change at any time for any facility (that affects the end-customer), that includes but is not limited to: Price, booking rights, amenities and benefits, membership rules and booking rules and automation. If any inappropriate behaviour is suspected, you may be suspended from the services and you may be held responsible. You are not allowed to open up or let anyone in to a facility, unless the facility says otherwise, when using the door unlock system in Sporty. A plan may change its pricing in the future. All facilities are obligated to send emails to the end-user about such changes when it involves a plan with recurring charges. If you buy memberships for other people, they will be added automatically to your billing plan as new members where you are the sponsor. If you remove members, their membership will be cancelled and last out the billing cycle. By signing up to a plan on Sporty, the facility reserves the right to move you (as a participant) to a different plan if they see a better fit. Hardware services are in beta. We do not stand responsible for or any third parties (a): loss of data, crashes, downtime, mistakes, delays and/or security breaches)). Please be aware that, although we endeavor to provide reasonable security for information we process and maintain, no security system can prevent all potential security breaches. Facility/Place hardware integrated with Sporty software cannot be overridden or used by other services when first integrated. There is no refund on hardware when first confirmed and ordered. You agree that the information you submit to this service is true and in best manner. You also agree to not mislead users on Sporty and keep loyal to completions, updates and information you provide other users on this service. Your breach of any of such obligations will result in irreparable and continuing damage to Sporty App AS, for which there will be no adequate remedy at law; and, in the event of such breach, Sporty App AS will be entitled to injunctive relief and/or a decree for specific performance, and such other and further relief as may be proper (including monetary damages if appropriate). Credits can only be used individually at checkout (not in combination with other payment methods). Credits can be given specific rules by place, including, but not limited to, only to be usable at specific places, memberships, plans, merchandise, tickets, courses, bookings (including specific rules for hours/dates/days/periods/courts). Credits may also only be purchasable for members of a place, which will be described in the checkout modal. The rules (or limitations) will be described in the checkout modal for credits. The place may change these rules at any time for new and/or existing customers. Credits normally expire a year after purchase (unless other is specified by place in the checkout modal for credits). Credits are not transferrable to cash. This may differ for each end every purchase at a place, and you are responsible to check each individual place / homepage information before purchasing. This also includes whatever information that is given at the checkout before purchase. Refunds cannot be issued to users after 14 days from the platform. We reserve the right to retract, refund, charge, hold or cancel any purchase/product in the platform and/or payout to user at any time. There are no refunds on, including, but not limited to, credits, memberships, courses, tickets, merchandise, bar items, products, other items, plans, paid invoices, automation, signage/screens, cameras, light system, hardware, bookings, reservations, rentals. Credits are used and found in the checkout modal. End-users have no refund rights on any purchases, features or packages they have been dealt or purchased in the system, unless other is specified. If a social event / activity arranged by Sporty is cancelled, we will try our best to find a new date for this. We will hold on to the end-users funds in this period and remain the right to announce a new event with these funds. We cannot guarantee the same location, artists and setup, but will do our best to make the experience as similar as possible. A membership is either a one-time purchase or a recurring subscription. This will be specified in the checkout modal. If you cancel a recurring subscription it will last out the remaining billing cycle. Facilities have no refund rights on any purchases, features or packages they have been dealt or purchased in the system. In the event you are eligible for a refund on a purchase, the initial charge and refund fees (from payment processors) and application fees per charge (of Sporty) will not be refunded. If a payment is made disputed on your behalf you must cover the charge and fees. Refunds from Sporty cannot be issued after 14 days from the platform. We reserve the right to retract, refund, charge, hold or cancel any purchase/product in the plattform and/or payout to facility (including your customers) at any time. Facilities/Places can only refund its customers up to 14 days after a purchase. When you issue a refund, End-customers will always be refunded in full and facilities must cover the charge and refund fees per charge (from payment processors), application fees per charge (from Sporty) and any disputed charges and fees (from payment processors). If a social event / activity arranged by admin / facility is to be cancelled, you must refund your costumers unless you have specified otherwise to your users in the ticket / product sold. We will hold on to the end-users funds in this period and remain the right to pay these back to customers. Sporty holds the right to terminate any facility/place/concert/event hosted on its platform. All income from events / activities by admin / facility is paid out to you after the event / activity has taken place (under normal circumstances no later than 1 month from the end date). If we suspect you’ve misguided users, given misinformation or any fraudulent or suspicious behaviour is detected by us, which we are to decide fully and confidentially on our own terms, we hold the right to hold these funds and also fully refund users back. You are responsible for following your country’s cancellation rules and other laws set by your country. We provide you a service, but you set the rules, terms and features for your club. Sporty may exclude, include or modify new or old users in our database at any time. The users in our database are in all cases owned by Sporty, and may be used by us for development, marketing and sales. Costumers that onboard through your page on Sporty, become Sporty customers and must agree to our terms. We ensure the safety of data and handling of these users. Users can choose to engage in all features / places Sporty has to offer and you as a facility / place have no right to any compensation or controlling / rights. In the event of termination of an event/concert by facility/place the equivalent of 20% of the total income expected from the event (based on the number of chairs or persons that can enter, as if the event had been totally sold) shall be deducted directly from the event as penalty fee. If the event has not collected payments or there is not enough funds to cover the 20%, the facility/place is obliged to pay this fee within 8 business days to a specified account provided by Sporty. This fee will also be enforced if you have deceived users in any way, breached our terms or in any way caused damage to customers / users. Sporty takes no responsibility for taxes, fees and contributions that facility must calculate and correctly pay to its tax authorities. The Facility has the exclusive responsibility of this. The facility/place is responsible for covering all refunds and its fees. If there is not enough funds to cover the fees you are obliged to pay the fees in arrears within 8 business days to an account provided by Sporty. Before creating an event on Sporty you must pay a startup-fee to a bank account provided by Sporty. If we make changes to these Terms, we will provide notice of such changes by posting a notice on the Service and updating to the newest "Effective" date above. Your continued use of the Services will confirm your acceptance of the revised Terms. You should frequently review the Terms to ensure you’re updated and understand the terms and conditions that apply to your use of the Services. You can find the Terms of Service at www.sportyapp.com/terms. If you do not agree to the amended Terms, you must stop using the Services. This agreement/contract goes by Norwegian law. All disputes and legal actions against the company shall be settled in Norway pursuant to Norwegian law. The Application obtains the information you provide when you download and register the Application. Registration with us is optional. However, please keep in mind that you may not be able to use some of the features offered by the Application unless you register with us. When you register with us and use the Application, you generally provide (a) your name, email address, age, address, phone number, gender and password; (b) transaction-related information, such as when you make purchases, respond to any offers, or download or use applications from us; (c) information you provide us when you contact us; (d) credit card information for purchase and use of the Application, and; (e) information you enter into our system when using the Application, such as, but not limited to, contact information, bio, images, favorite sports, messages and purchased orders. This data may be used for purchases, finding the right people to play with, ads and statistics. 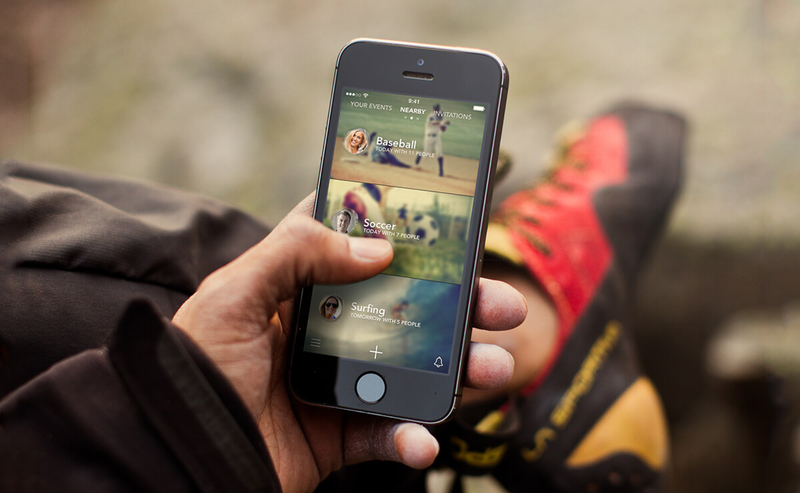 By joining Sporty you will be shown to other people on the platform, this is for the purpose of finding other people to play sports with. You can at any time hide your social profile in your profile settings. Your bio and favorite sports will be hidden and cannot be used for searching purposes on the platform. For ease of functionality and all purchase features throughout the platform you may still be searched directly by name or email address. We may use the information you provide us to contact you from time to time to provide you with important information, required notices and marketing promotions. When you visit the application, we may use GPS technology (or other similar technology) to determine your current location in order to find other people to play with, facilities to play at, open doors and relevant advertisements. If you do not want us to use your location for the purposes set forth above, you should turn off the location services for the mobile application located in your account settings or in your mobile phone settings and/or within the mobile/browser application, this may however limit the application in functioning properly. Third parties may also view, edit, or set their own cookies. We and our third-party service providers, advertisers, and/or partners may also place web beacons. The use of these technologies by such third parties is subject to their own privacy policies and is not covered by this Policy. In the paragraph below is a list of services that may set their own cookies. Some functions in Sporty fully rely on third party services to run. Sporty uses third-party applications for communication with users, bank card processing, user log in credentials, storage of user-info, analytics, user recordings and crash alerts. Here is a list of third-party applications we use for this: github, google, google analytics, google cloud service, google maps, google translate, google compute engine, google firebase, upscope, appsee, mongodb, mongoLab, heroku, tamboo, fullstory, hotjar, sentry, log rocket, amazon web services, paper trail, intercom, iTunes connect, send grid, crashlytics, dropbox, facebook, twitter, mixpanel, google pay, apple pay, stripe. By using our service your information will be shared with these third party providers and services. Their subject to their own privacy policies which are not covered by this Policy. Facilities/Places on Sporty will also have access to your data when you interact with them eg. when they make you a member or you buy a membership, book a court or purchase credits from them. They can use this information for statistics or to contact you about purchases, updates and news. By interacting with memberships at a place affiliated with NIF (Norges Idrettsforbund) your user info (name, email address, age, address, phone number, gender, profile photo) will be sent to them if a membership is purchased. They store this information to keep a list of organized sporting members country-wide in Norway. · with our trusted services providers who work on our behalf or partners. · if Sporty App AS is involved in a merger, acquisition, or sale of all or a portion of its assets, you will be notified via email and/or a prominent notice on our Web site of any change in ownership or uses of this information, as well as any choices you may have regarding this information. You can stop all collection of information by the Application easily by uninstalling the Application. You may use the standard uninstall processes as may be available as part of your mobile device or via the mobile application marketplace or network. You can also delete your account by sending us an email at support@sportyapp.com. If you delete your account, we'll delete all your personal user information and this action is irreversible. But please note: (1) there might be some latency in deleting this information from our servers and back-up storage; (2) we may retain this information to comply with legal obligations, resolve disputes, or enforce our or our partners / third parties agreements. We will also do a check for any active subscriptions or invoices that needs to be unsubscribed or paid. We do not use the Application to knowingly solicit data from or market to children under the age of 13. If a parent or guardian becomes aware that his or her child has provided us with information without their consent, he or she should contact us at support@sportyapp.com. We will delete such information from our files within a reasonable time. We are concerned about safeguarding the confidentiality of your information. We provide physical, electronic, and procedural safeguards to protect information we process and maintain. For example, we limit access to this information only to authorized employees and contractors who need to know that information in order to operate, develop or improve Sporty. In accordance with this privacy statement and applicable law in general, your personal information will only be stored as long as we objectively need it. When an objective need no longer exists, we will delete the data or make it anonymous. We do not stand responsible for or any third parties (a): loss of data, crashes, downtime, mistakes, delays and/or security breaches)). Please be aware that, although we endeavor to provide reasonable security for information we process and maintain, no security system can prevent all potential security breaches. If you have any questions regarding privacy while using the Application, or have questions about our practices, please contact us via email at support@sportyapp.com.